Creating automations on your Mac can often take a little time and testing, but you gain that and lots more time back the more you use the automations you create. 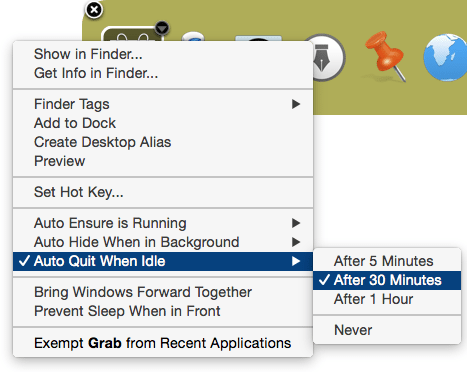 If you’re new to Mac automations, consider taking the time to create a few automation setups described below when don’t have a deadline to meet, or when simply want to reduce the number of times you manually perform a particular task. The following list of suggestions don’t include how-to instructions, but they hopefully will provide you ideas for workflows and actions in applications you already use or would like to learn how to use. In the latest version of TextExpander, you can review a folder of suggested words and phrases that TextExpander noticed you have typed several times. 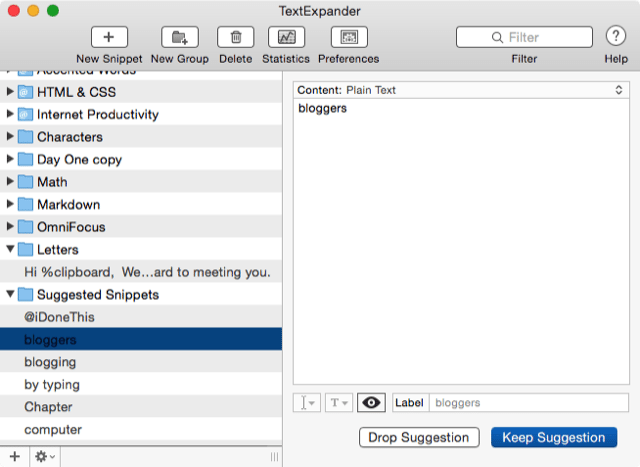 The suggestion folder is found at the bottom of the TextExpander editor. I first drop the suggestions the I don’t want use, and then I create new abbreviations and snippets that might save me some typing time. Use Keyboard Maestro to set timed triggers for opening your most used webpages and applications at specified times during the week. For example, I have KM macro that opens the Mint application every Monday and Thursday so can I check my personal finances. Create BetterTouchTool finger gesture to control iTunes in the background. For example, I can pause and play iTunes in the background with a double tap at the top of my trackpad. Create a Keyboard Maestro application macro to open a related folder when a specified application is launched. 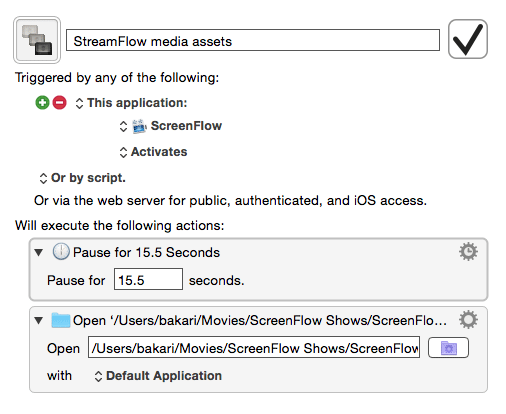 For example, when ScreenFlow launches, KM opens my folder of media assets, because I typically access it when producing videos. Create a few smart mailboxes to filter your mail. For example, I have one smart folder that filters all my un-deleted emails from last year. Create a Hazel automation that clears your desktop of files that have been on there for a specified amount of time. 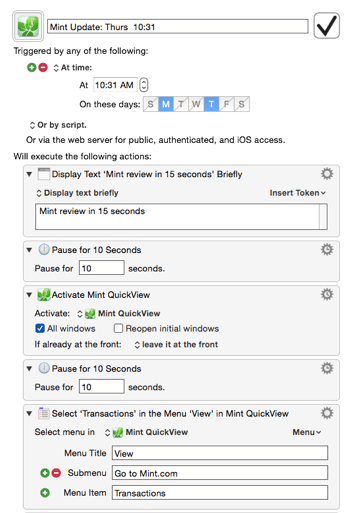 Create a BetterTouchTool finger gesture to trigger the hotkey for taking screenshots. Install SharpShooter so you can preview and rename screenshots immediately after they are taken. 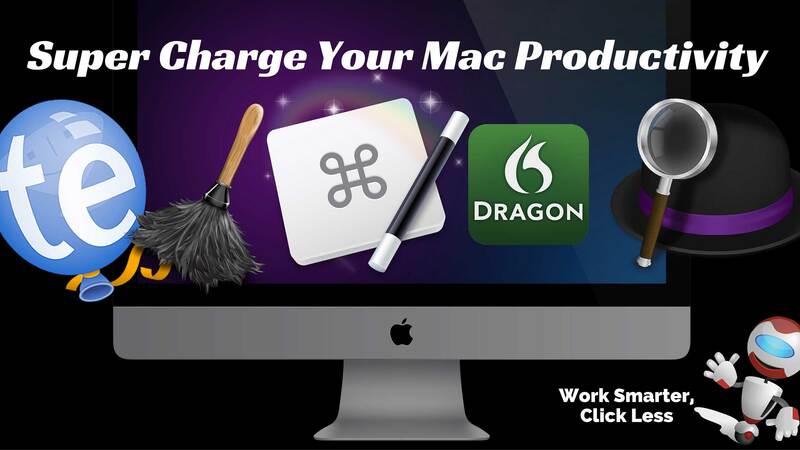 Create custom Dragon Dictate commands to download your most viewed websites. I can actually open websites without touching my keyboard. 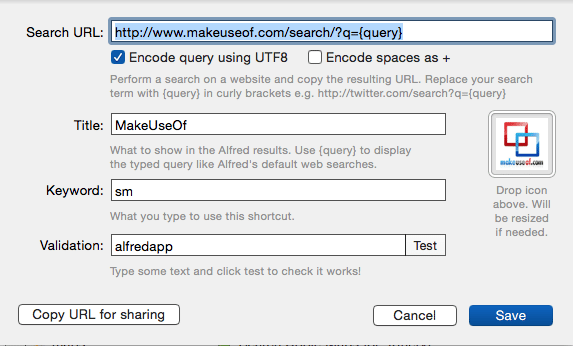 Create a custom URL search in Alfred preferences for directly performing research on a designated website. For example, with this workflow I can perform a keyword search directly in MakeUseOf.com, which saves me the trouble of downloading the page and then typing in a keyword in the site’s search box. There are lots of more automations that you can create using the applications listed above. I hope you find at least one or two of above hacks useful to your Mac workflow. I would appreciate your feedback on the types of automations you use on your Mac, and what type of automations you would be interested in learning about. Be sure to subscribe to Mac Automation Tips for email updates and future articles of this kind. Great stuff – keep the ideas/suggestions coming. It’s great to see the clever ways that people find uses for these programs. JP, thanks for your feedback. Really appreciate it.